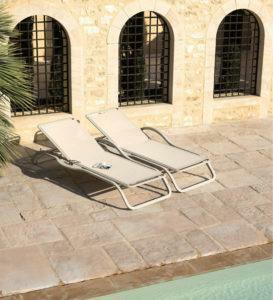 The Marumi collection is made up of 3 tables, chairs, armchairs and sunloungers. 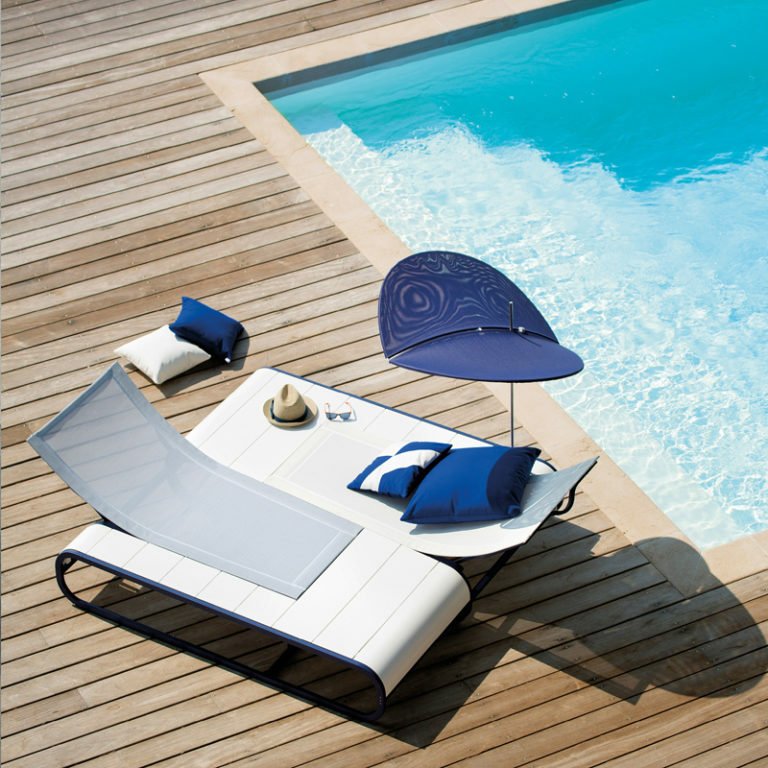 It is the fruit of the collaboration with the designer Thomas Sauvage, a partner of EGO Paris since the beginnings. 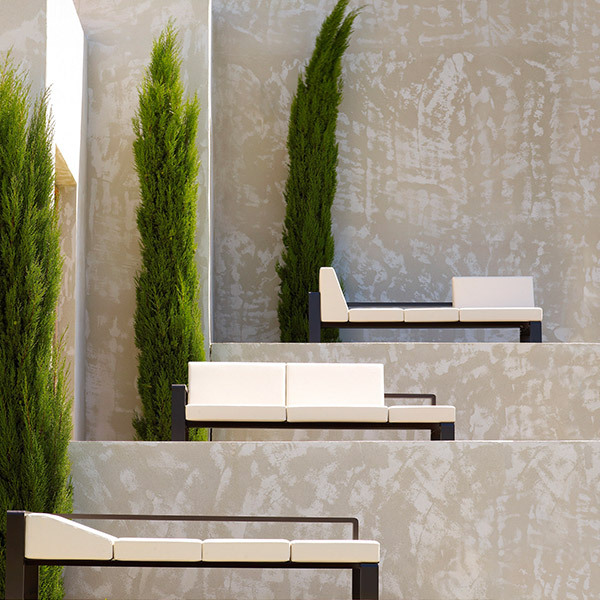 He was able to draw on the know-how and DNA of the brand to imagine these outdoor furniture elements of subtle lines. 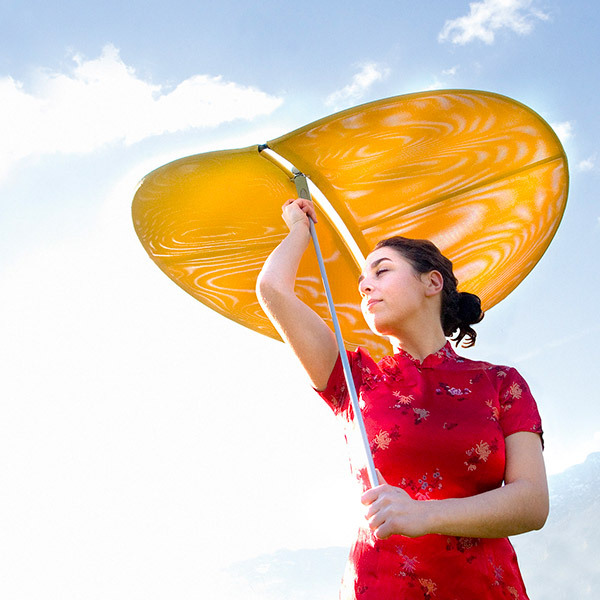 Marumi means “beautiful circle, roundness” in Japanese, an allusion to the graceful curves of the various pieces of the collection. It is also a tribute to the minimalism of Japanese design all in accuracy and restraint. “The aesthetics of the Marumi collection is without extravagance nor artifice, its design is invented to be timeless”, says Thomas Sauvage.” It is a subtle balance, a silent elegance. I imagine that the decor can change around, and that the furniture remains in place in harmony”. 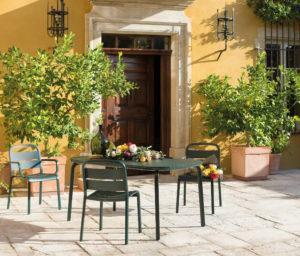 Whatever their destination, the outdoor furniture of the Marumi collection fits harmoniously, whether to embellish the porch of a country house, adorn the surroundings of a luxury pool, brighten a garden or a terrace. 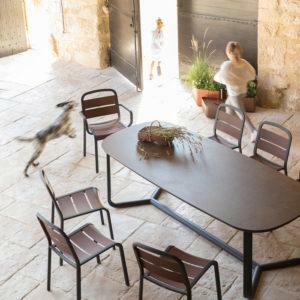 The collection, whose pieces are composed around a thermos-lacquered aluminium structure, offers several dining tables: two with generous shapes to embellish gardens and terraces, a smaller thought for, balconies, and two kind of feet, welded or dismountable, to adapt to different uses. The choice exists also between chairs and armchairs. 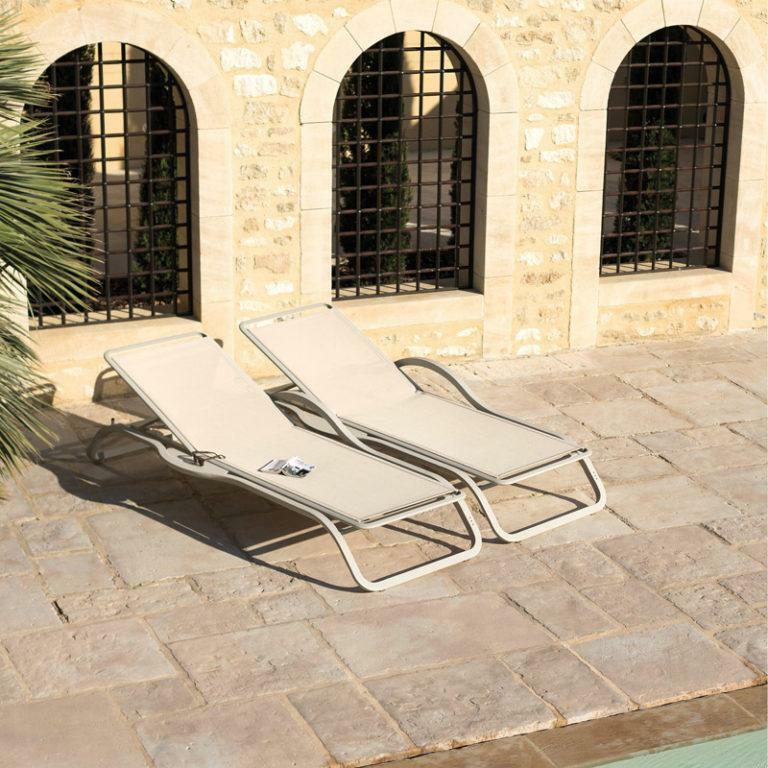 The elegant sunlounger also offers a version with an armrest and a particularly useful built-in tablet for placing a book or a pair of sunglasses. 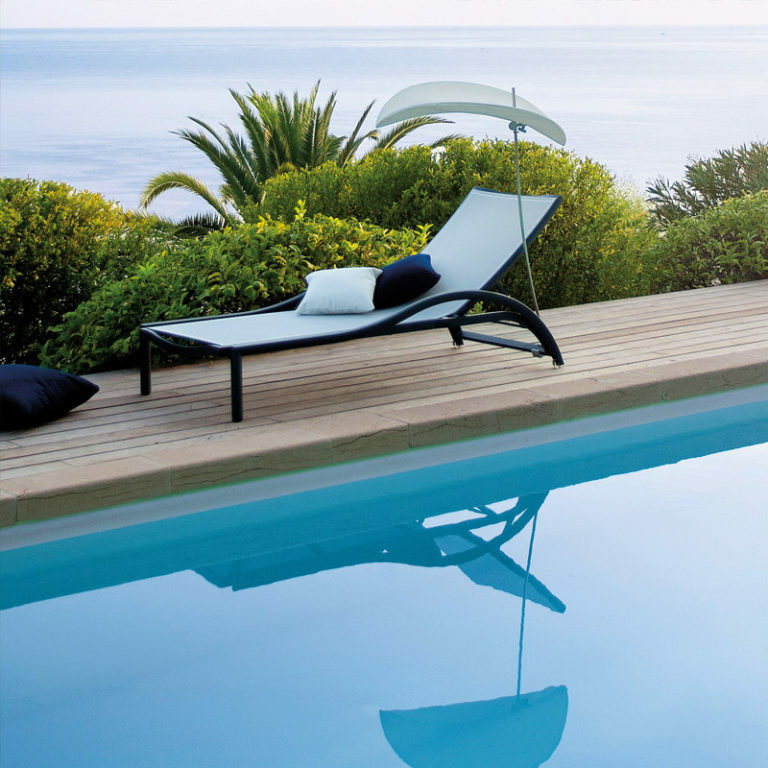 Designer Thomas Sauvage comes from a family with a pronounced artistic sensibility where fine arts have their place. 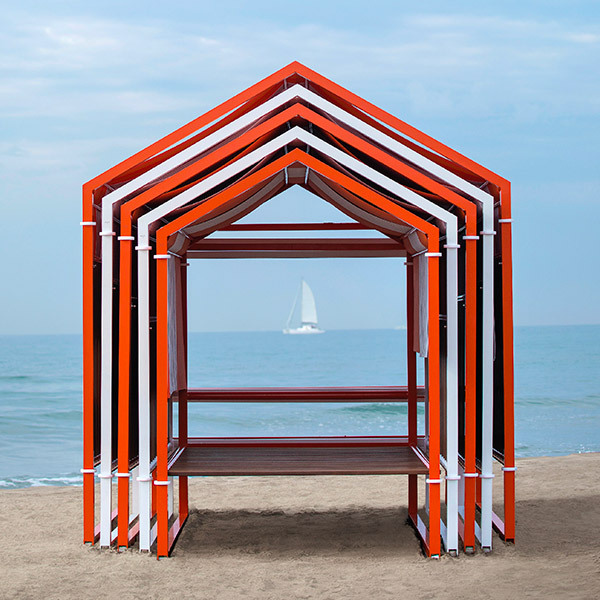 So after working two years as a civil engineer, unsurprisingly, he reoriented to design, specializing himself in outdoor furniture. He accompanied EGO Paris from its inception with, in mind, the desire to “always suggest elegance and evoke desire through pure lines and quality materials”. 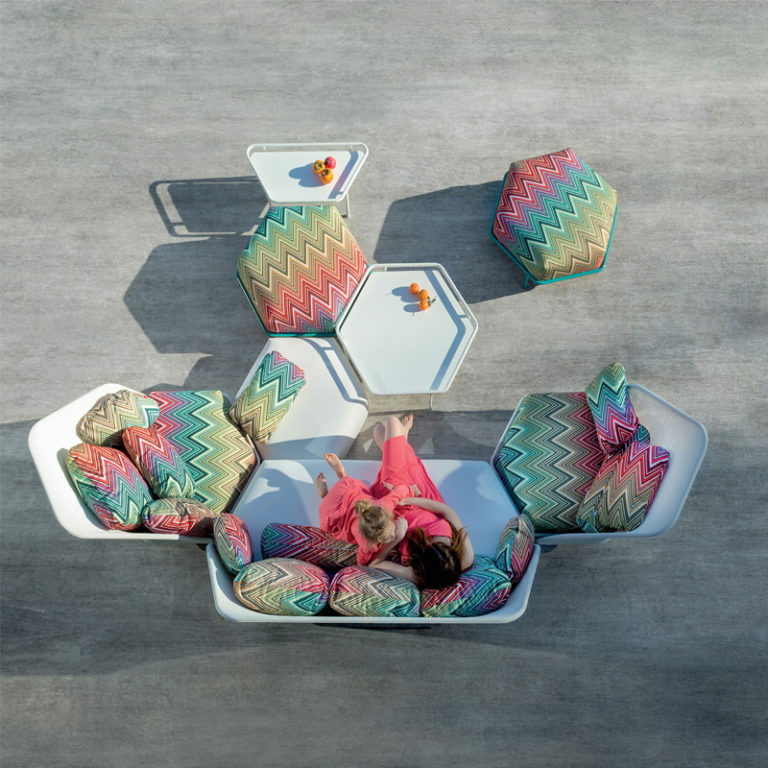 “The idea was to be able to offer, from the aluminum as the dominant material in the entire collection, all kinds of product declinations such as several options of materials for the seat and backrest for the chairs and armchairs, for the table tops, and all kinds of finishes for the lacquers and for the Batyline® colours, some of which are exclusive to EGO Paris. 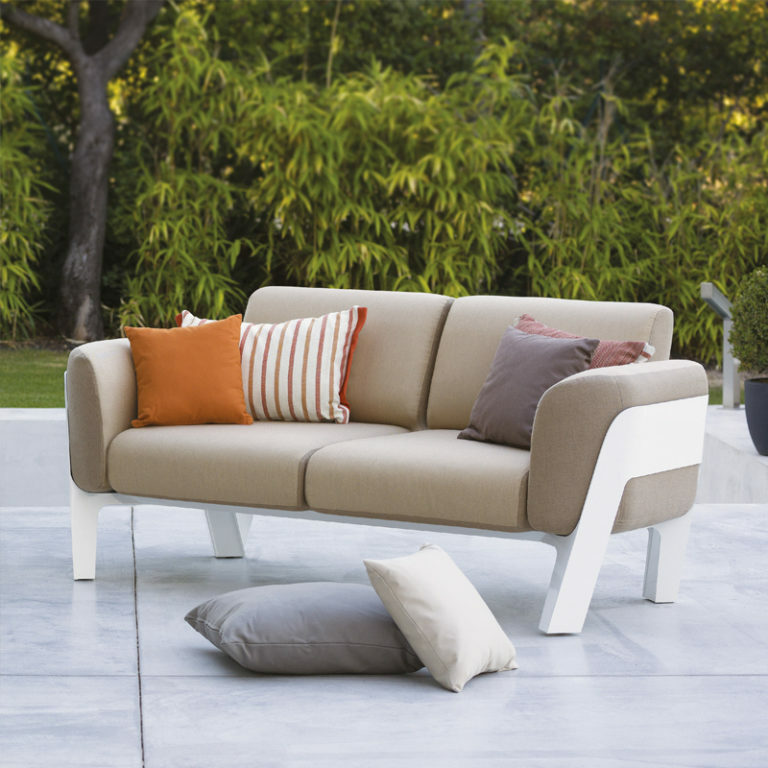 With Marumi, we are once again providing endless possibilities to customize your furniture”, says Thomas Sauvage.